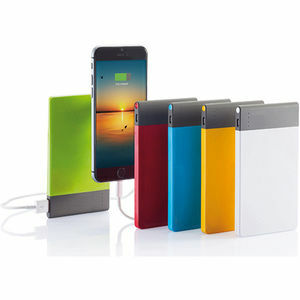 4600 mAh thin powerbank with high quality lithium polymer battery. Including on/off button to switch of the power current and battery capacity indicator. Output 5V/2.1A, input 5V/1A. Packed in transparent gift box.